I love a full brew day, the challenge and complexity of all grain brewing; but sometimes I come home and I want to take a step back and brew an easy extract batch. Although sometimes complexity and depth of flavor can be lost in an extract brew day, the benefits of ease can more than compensate for a few points off of judging score sheet. There are also other times when I have a desire to brew an extract batch for more than just ease of use. This was the case for my latest sour brewing endeavor. I found myself I possession of a small sample of Brett Brux starter wort generously donated by a friend. Over the last few months I have been kicking around this yeast, moving it from starter to starter and never quite knowing what to do with it. It had come that this yeast had gone though around 3 starters and I still had not found a use for it. Now, I am very careful when I’m making yeast starters, but even with care an infection can occur. For this beer, I was too dubious of the quality of the Brett to use it in something I would slave over for hours then age for several months to years. It is for situations like this that extract brews make the perfect caliper of beer. The brew day itself only took around 2 1/2 to 3 hours, and I probably could have shaved off even more time. I chose to do a small partial mash to impart flavor. 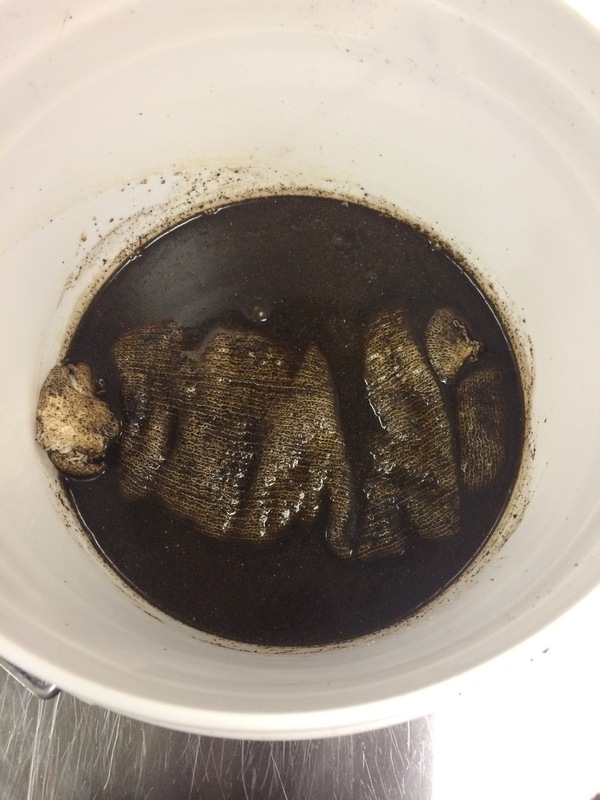 Since it was so small, I did a brew in a bag mash which saved on both time, labor, and equipment clean up. While I may have payed a few bucks extra for the extract rather than grain, I think my time was worth the investment. 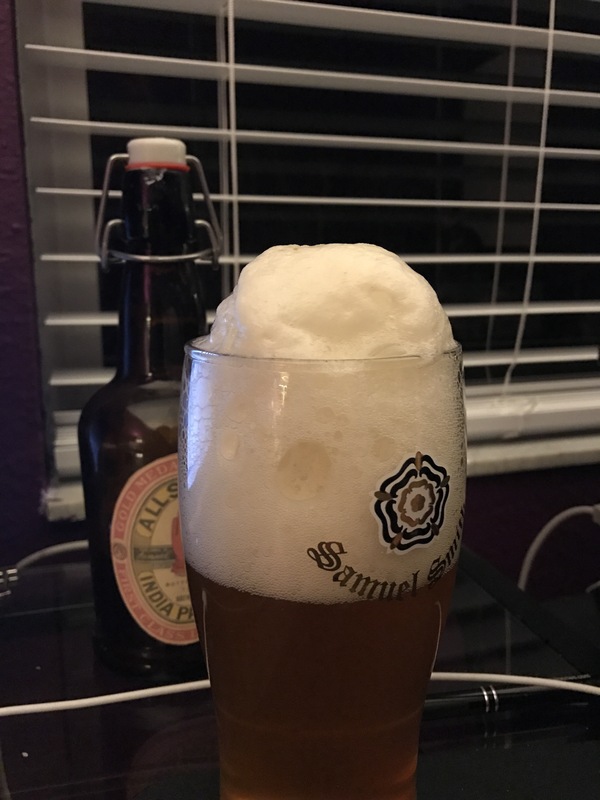 I was incredibly happy with the final result of this beer, especially after it was dry hoped. The beer had a fantastic, yet restrained, level of funk which complemented the tropical tones of the hops quite nicely. Have you ever made an extract sour beer? Tell us more about it below! Who says a sour has to be a time intensive beer? This dry hoped brett beer is a relatively quick turn around wild beer. The hops lend definition to the funk of the beer, giving it a bit more structure. This easy brew will produce a decent sour in less than 3 months. Mini-Mashed the Wheat and Vienna in 2 gallons at 152 F. Beer was brewed on 1/10/16, Racked to 2ndary on 2/10/16, Dry hopped on 3/25/16, and Kegged on 4/3/16. The beer was force carbonated to a highly effervescent level. Overall the beer took approximately 3 months to complete. 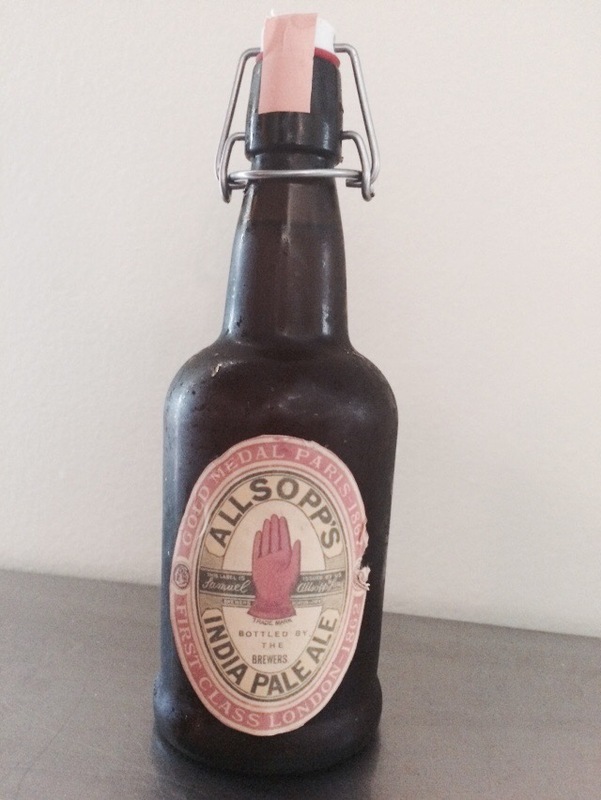 This beer accentuates the funky and interesting flavors that Belgian beers are renowned for. It pours a very pale gold with a lovely white and lacy head. The rye adds a slightly spicy note while the flaked grains adds a bit of body to the otherwise dry beer. 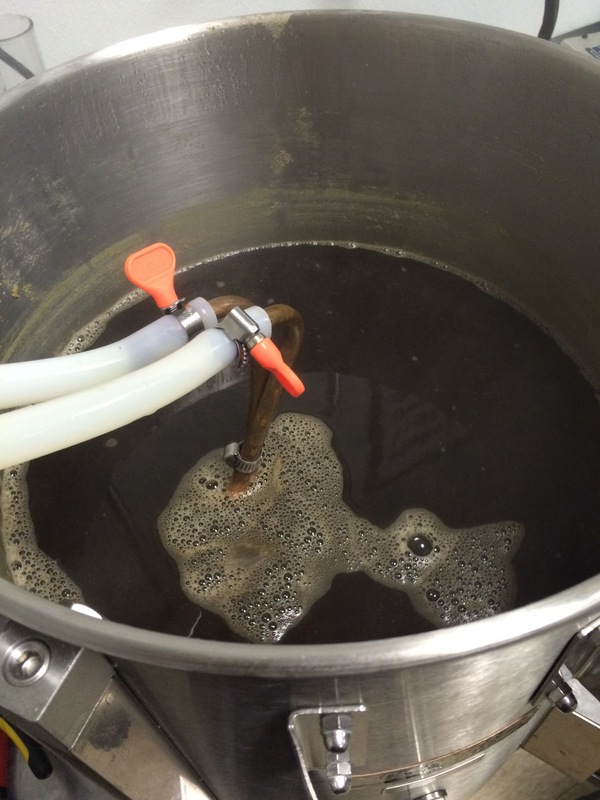 Cold steeping dark grains is a great way of adding smooth clean flavor a to your porters and stouts without the risk of leaching tannins or disturbing your mash pH. First off, I think we should go into what cold steeping actually is. Most simply, cold steeping is the process of extracting the flavor and color of specialty grains through steeping in cold water. There are two major reasons for cold steeping, Mash pH and Astringency. Dark, highly modified grains go through a very hot killing process. The effect of this roasting is not just flavor and color changes, but also changes in the chemical structure of the grain. Dark grains tend to lend more acidity to the mash. Now this is not always a bad thing, especially when brewing with highly alkaline (High pH) water. Unfortunately most water is relatively balanced in its pH. This means that the dark grains will bring your mash below the sweet spot of 5.2. This low pH will give your beer a very sharp character and will inhibit the enzymes of your mash. Cold steeping negates this issue by mashing only the base grains and light specialty malt; this way the mash is unaffected by the low pH grains. The other aspect which makes cold brewing a useful tool is its ability to bypass the astringent aspect of roast grains. When exposed to hot water, dark grains tend to leach out acrid and astringent flavors. When cold steeping, the dark grains are exposed to no more than ten minutes of heat, and may even be exposed to no heat under certain conditions. There are numerous ways to conduct a cold steep. 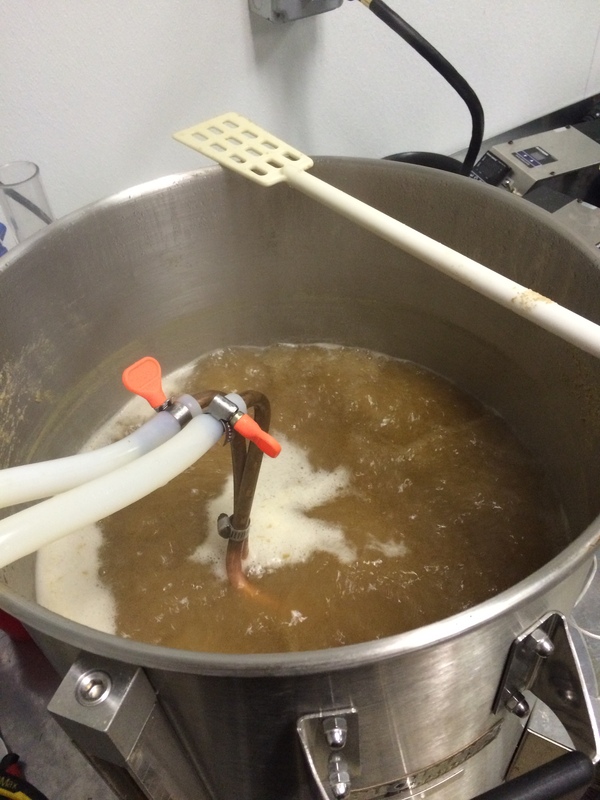 Experiment and see what process works best for you and your brew house. I have outlined my basic cold steeping process below. 1) Select your Grains: For the choice of grains, you want to stick with highly killed malt that will not require any heat to extract or convert sugars. At this point you just want color and flavor extraction. Good choices are black, black patent, special b, and chocolate malts. 2) Grind the Grains: If you don’t have access to your own mill, don’t worry about this step and go with the local homebrew shop’s mill setting. If you have control, go with a more coarse grind. Since you don’t have hulls to work with, clumping can be more of an issue so a more course grind will help prevent this issue. 3) Conduct the Steep: add the grains to your steeping bag. When it comes to the bag, bigger is better to allow more room for circulation in the steep. Fill a good grade bucket with 2 quarts of good quality water per pound of grain. Add the grain bag to the water and let steep over night, mixing occasionally to allow better extraction. 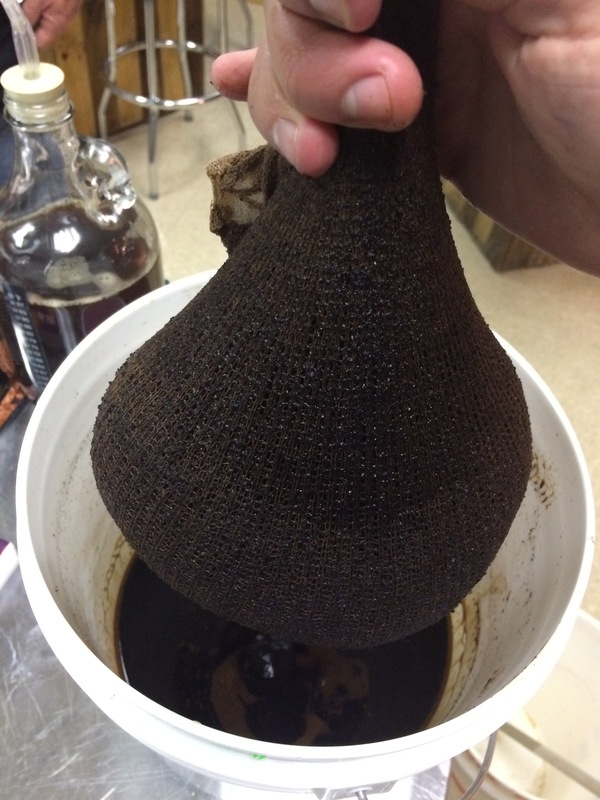 4) Remove the Grain Bag: Carefully remove the grain bag from the steeping liquid. It’s fine to squeeze the bag at this point, just try not to allow any husk material to enter the mix. 5) Add Cold Steep to Boil: With a minute left in the boil, add the steeping liquid. You should notice that the color changes dramatically when it is added. Stir gently till the mixture is well incorporated. 6) Finish the Brew Day as per normal. This beer is based on a classic oatmeal stout but with some twists. Firstly it uses the cold steep technique for the chocolate malt and black printz. Secondly 3 shots of espresso were added at kegging to add a caffeine buzz. While this makes a very smooth beer, it is possible that the roasted flavors of a stout are lost in this recipe. Mashed at 155 for 60 Minutes. Fermented at ambient temperatures. In this video we continue our lecture series on sour beer brewing. We discuss various styles of sour beer and some of their history as well as their microbes, ingredients, and general style ranges. Included in this discussion are: Lambic, Geuze, Flanders Red, Oud Breun, Gose, Berliner Weiss, American Wild Ales, and Other Rare/Historic Sours.